Mindfulness, or concentrated awareness of one’s thoughts and actions, has been clinically shown to be effective for the management of stress, anxiety and panic, chronic pain, depression, obsessive thinking, strong emotional reactivity, and many physical and mental health conditions. Despite the surge of interest in mindfulness meditation, many would-be practitioners become frustrated because they cannot find practical, step-by-step instruction for achieving a mindful state in everyday life. 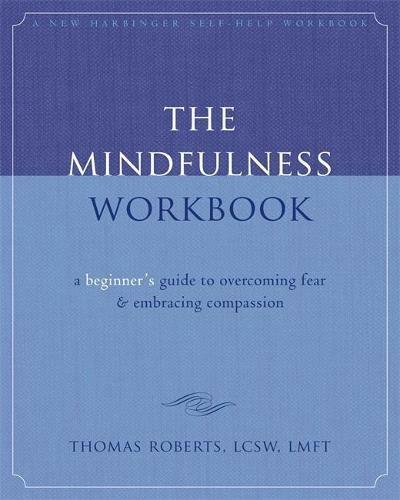 The Mindfulness Workbook guides readers through ten exercises that enable them to experience mindfulness for themselves, not as a distant experience of enlightenment, but as a practical, attainable state from which they can see their lives more clearly. This book is the perfect resource for anyone who would like to put mindfulness to work in their lives right away to gain perspective and achieve calm. The book guides readers through the experience of spaciousness, thought watching, the CenterPoint breathing process, mindful eating, and six other experiences that help readers understand mindfulness on a deeply personal level and fully incorporate its tenets into their lives.